Back in late May Sandee and I went on some of our favorite hikes in the woods around Kandern, Germany where we used to live. 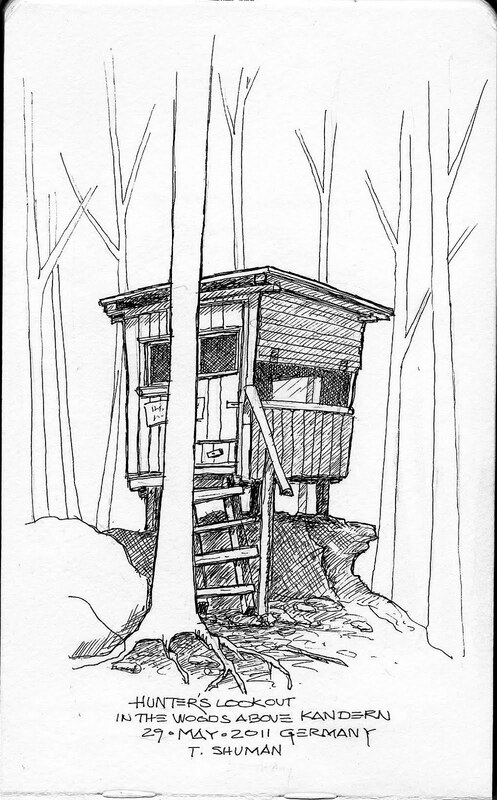 I had to try and sketch this Hunter's Lookout that we passed many times. I really like the rickety construction of this thing. Who knows when we will be back to this spot. 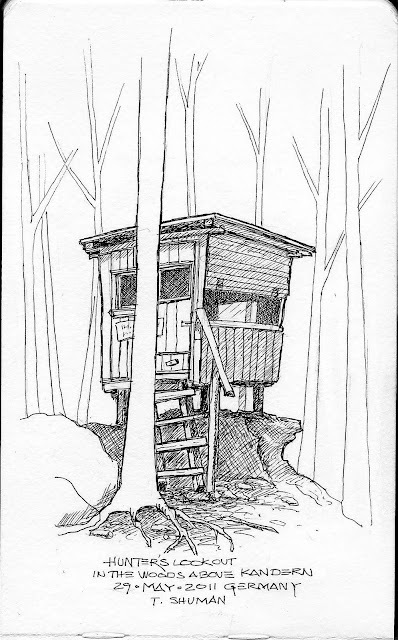 Rather than taking a photo, making a sketch sorta "seals" the thing into my memory. Not only do I remember the object, I remember the smells, the temperature, sounds, even the humidity.